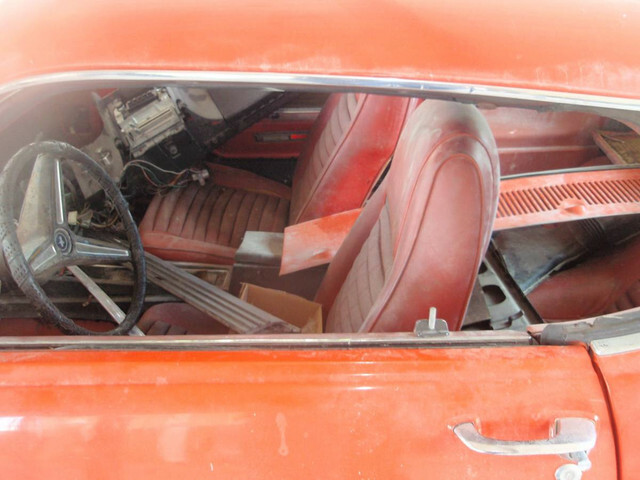 1970 Calypso Coral 351C M code 3 Spd 3.25 9 inch with Vermillion (red) Deluxe Mach 1 Interior. 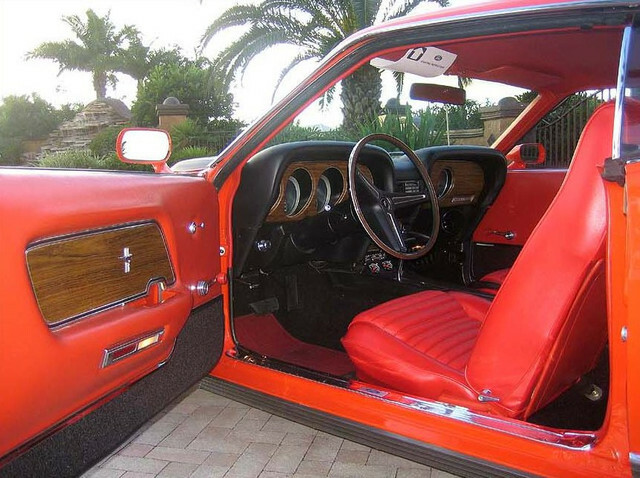 Red interior with Calypso Coral... what were they thinking? 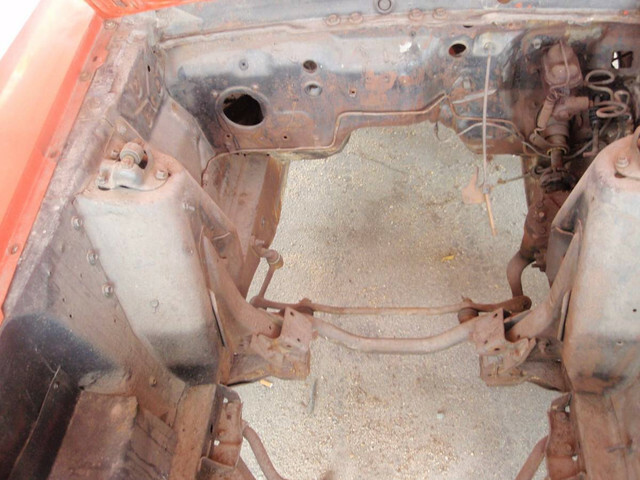 Nothing is really bad on it, except for the lower cowl and the package tray has been butchered, the floors should be replace too. To make it really nice I should replace the floor, cowl, package tray and drivers side door. No factory restoration this time, thinking I'll will mod it but stay close to original in appearance. But the red interior has to go..... Maybe stock looking white with black. Always liked the '70 Mustangs. Looks like you have a good platform to build something nice on. I agree, the red seats are a little much. My 71 Mach is blue on blue. I sometimes question myself for sticking with the factory color scheme, but I've seen maybe a handful of other brave souls. All I have to say is it sure beats an Avocado green interior - that was truly a very "high" end decision. 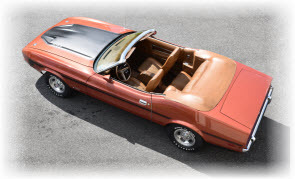 FWIW, I'd love to do a grabber blue Mach with a white interior. rich, another project ????? u gonna need a bigger garage. where was the stang located ???? it gonna have it ready for delaware park this fall ???? LOL. Cool! 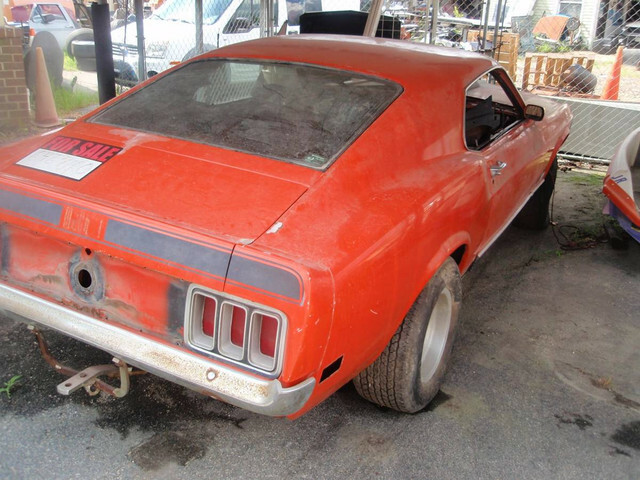 69-70 fastbacks are my favorite Mustang body shape!! I bet they use to pull ski boat with that trailer hitch. Nothing wrong with red. I have two white ones and don't want that again. Looks like they made 1003 with Vermilion and Calypso Coral. When in Charlotte at the MOM Gale Halderman said that about the only thing that Larry Shinoda changed on the 70 was to pull the fake brake vents out of the quarters. 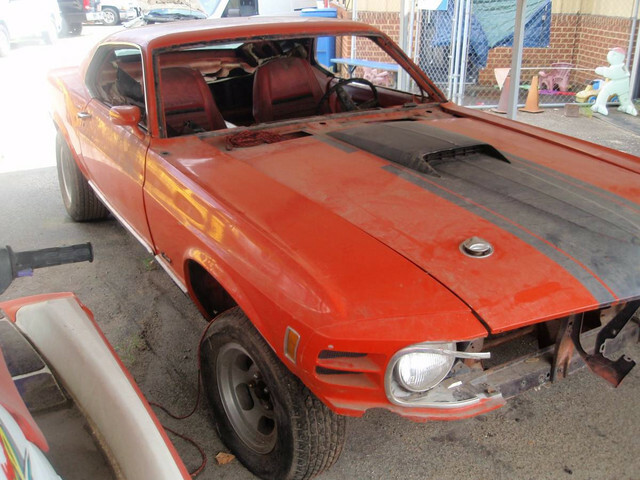 Sounds like a great project, now the search begins for parts, lol. I love Acapulco Blue with white interior. It's darker than grabber. 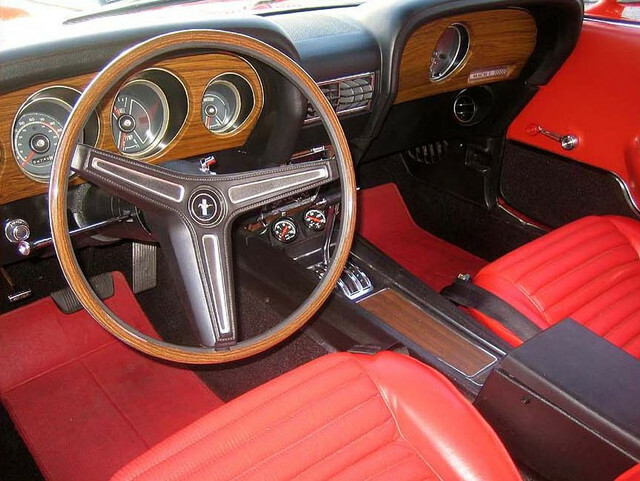 I was convinced I was changing the red interior to either white or all black, and then I saw this picture of a nicely restored vermillion red interior. Now I think I may keep it. I will. Putting the plan together and making a list of parts. I love this stage of the project. Like a sculpture with a lump of clay and an idea of what he wants it to be.